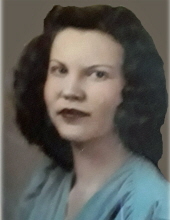 Bettie age 93 of Englewood, CO formerly of Larkspur, CO passed away on February 8th, 2019. She was born in McCook, NE to Walter and Sophia Bower. Preceded in death by her beloved husband Wallace, her brothers Frank, Walter, Kenneth, and sister Doris Bower. Bettie is survived by her son Larry of Englewood, CO, granddaughter Hilary, great grand-daughter Elizabeth both of Denver, CO, a sister-in-law Andrea Bower of McCook, NE as well as numerous nieces and nephews. Private family service at her request. To send flowers or a remembrance gift to the family of Bettie Jane Sanders, please visit our Tribute Store. "Email Address" would like to share the life celebration of Bettie Jane Sanders. Click on the "link" to go to share a favorite memory or leave a condolence message for the family.